Many popular American television series have been based on British shows. 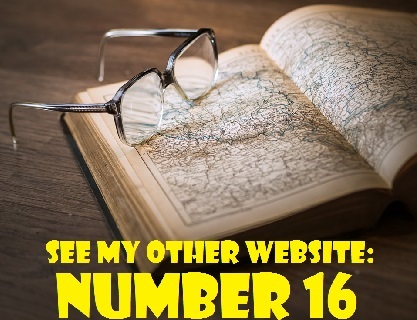 Here is a list of some of the more notable ones. By the way, if you are not a fan of Simon Cowell, you can always blame the British for the revival of talent contests on American television with programs such as American Idol. Of course, we Canadians followed suit with Canadian Idol and Canada's Got Talent, the difference being that we copied the Americans who copied the British. All in the Family was based on a British situation comedy called Till Death Us Do Part which originally aired on BBC1 during the 1960s. The series was created by the late Johnny Speight, a prominent British scriptwriter, and it focused on the Garnett family of London's East End. 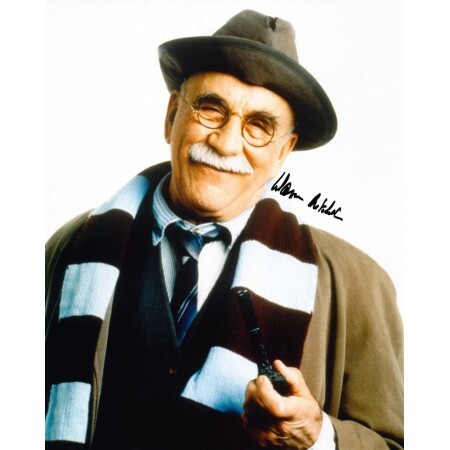 The family's patriarch, Alf Garnett,.played by Warren Mitchell, is the model for the bigoted Archie Bunker. Garnett holds racist and sexist views. He is a right-wing, anti-socialist working-class white man. Garnett's long-suffering wife Else, portrayed by Dandy Nichols, is, of course, the model for All in the Family's Edith Bunker. Like Jean Stapleton's Edith, Else is patient and gentle with her oafish husband and their live-in daughter and son-in-law. 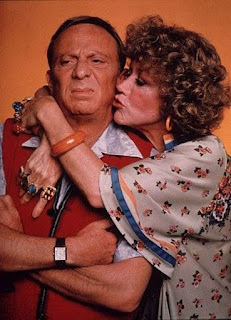 Daughter Rita, played by Una Stubs and Antony Booth played leftist Mike Rawlins, her idler of a husband (Sally Struthers as Gloria and Rob Reiner as Mike "Meathead" Stivic on All in the Family). 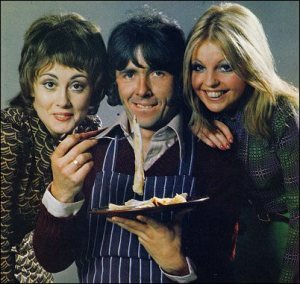 Man About the House was a British sitcom that ran on ITV from 1973 until 1976. The series revolved around a man named Robin Tripp who shares a flat with two women, Chrissy Plummer and Jo. Paula Wilcox played Chrissie Plummer, Richard O'Sullivan played Robin Tripp and Sally Thomsett portrayed Jo. The show's premise was that two female flatmates in London wake up after a party to find a man sleeping in the bathtub. The man turns out to be Robin Tripp, an aspiring chef. Since Robin can cook and the women can't, they allow him to live in their flat on a platonic basis. In order to placate landlord, George Roper, Chrissy informs Roper that Robin is gay. 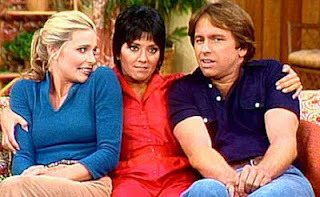 Man About the House is the basis of the American sitcom, Three's Company, starring John Ritter in the Richard O'Sullivan role. In the U.S. version, the Ritter character is also an aspiring chef, but his name is Jack Tripp, not Robin. Jack shares an apartment in Santa Monica, California with two women, Chrissy and Janet. Suzanne Somers played the role of Chrissy Snow and Joyce DeWitt portrayed Janet Wood. Three's Company aired from 1974 until 1984 on the ABC network. The Ropers, starring Norman Fell and Audra Lindley as Stanley and Helen Roper, was a spin-off of Three's Company. The Ropers were the landlords of Jack Tripper and his two female friends. The Ropers was based on the popular British comedy George and Mildred which ran from 1976 until 1979. 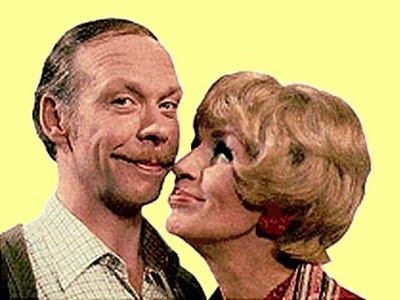 It starred Brian Murphy and Yootha Joyce.as George and Mildred Ropers, the landlords in Man About the House. The premise of the series had the Ropers relocating from their South Kensington flat to a middle-class suburban home where gormless George constantly embarrasses Mildred and threatens her hopes of upward social mobility. The Ropers' snobbish neighbour, Jeffrey Fourmile, a real estate agent, fears the presence of the Ropers will lower the value of his property. Yootha Joyce, who battled alcoholism, died suddenly on August 24, 1980.of hepatitis as the cast was preparing to film the shows' sixth series Note to North American readers: In Britain, television series are not referred to as having "season." Whether or not they continue year after year, U.K. "series" usually consist of about half a dozen episodes, much fewer than in the U.S. Talent competitions have a long history on television, beginning in the 1950s with Arthur Godfrey and Ted Mack. The genre, however, appeared to have faded into the background until the premiere of Popstars, an international interactive singing competition, in New Zealand in 1999. Popstars' format was sold to more than 50 countries. 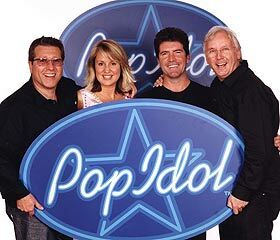 It is the forerunner and inspiration of Pop Idol which debuted on Britain's ITV on October 6, 2001. On Pop Idol, the best new singer in the UK was selected on the basis of viewer voting and participation. The show developed into an international franchise but due to a legal dispute with the producers of Popstars, the word "Pop," had to be removed from the title. One of the British judges on Pop Idol was a music entrepreneur named Simon Cowell. When American Idol began airing in the United States, North American audiences were introduced to Cowell's brand of brutally nasty judging of the contestants. It began airing on Fox on June 11, 2002. It was an instant hit and Simon Cowell, born in Lambeth, south London, became a household name in the United States and Canada. Who Wants to Be a Millionaire? is a game show that originated in Britain in 1998 and is hosted by Chris Tarrant. Its earliest working title was Cash Mountain. The program has been exported to many other countries, all of which use the same general format. Contestants try to win large cash prizes by choosing the correct answer from a series of multiple choice.questions. If they have difficulty, they can use "lifelines" such as phoning a friend for advice or polling the audience. The American prime time version of Who Wants to Be a Millionaire?, hosted by television personality Regis Philbin, premiered on August 16, 1999 and lasted until June 27, 2002. Meredith Vieira has hosted a syndicated daytime version of the show in the United States since September 16, 2002. 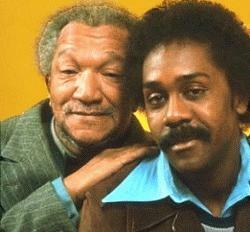 Sanford and Son was a remake of the British sitcom, Steptoe and Son. Steptoe and Son was broadcast on the BBC from 1962 until 1965 and it had a second run from 1970 to 1974. 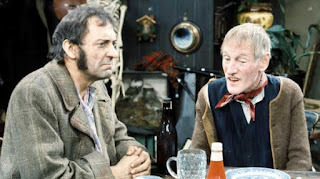 The show centred on the relationship between foul-mouthed Albert Steptoe and his son, Harold. The Steptoes are rag and bone men, the British term for junk dealers. Irish film and TV actor, Wilfrid Brambell, played the role of Albert Steptoe and Harry H. Corbett portrayed his son, Harold Steptoe. The U.S. version of the series, Sanford and Son, ran on the NBC television network from 1972 until 1977. Producers Norman Lear and Bud Yorkin "Americanized" the show by casting African Americans in the lead roles. Sanford and Son was set in South Central Los Angeles and Redd Foxx played the irascible junk dealer, Fred Sanford, a widower. Demond Wilson portrayed his son and business partner, Lamont Sanford. Redd Foxx, whose real name was coincidentally John Elroy Sanford, died of a heart attack on October 11, 1991. He was 68 years old. It is ironic that Foxx's character, Fred Sandford, is known for a fake heart attack routine in which he refers to a fatal attack as "the big one." The politically incorrect British comedy, On the Buses, was the basis for the American series, Lotsa Luck. On the Buses was broadcast in the United Kingdom from 1969 until 1973. The show centred around the antics of bus driver Stan Butler and his conductor, Jack.Harper. Reg Varney played the role of Stan and Bob Grant portrayed Stan's best friend, Jack. Cicely Courtneidge was originally cast as Stan's mother. Doris Hare, however, took over the role and played the part for most of the show's run. Anna Karen portrayed Stan's sister, Olive, and Michael Robbins his layabout brother-in-law, Arthur. In 1981, Reg Varney suffered a major heart attack and was forced to retire from acting. 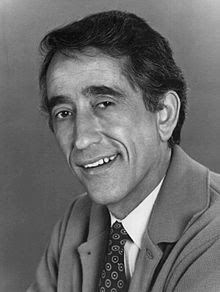 He passed away on November 16, 2008 at the age of 92. On the Buses was produced London Weekend Television and 74 episodes of the show were made. The American version, Lotsa Luck, did not enjoy as long a run as its British counterpart. Lotsa Luck, starring Dom DeLuise, aired during the 1973-1974 television season. Carl Reiner was a co-creator of the series which featured DeLuise in the Reg Varney role. DeLuise played Stanley Belmont, the custodian of the lost-and-found department of a New York City bus company. Stanley, a bachelor, lives with his overbearing mother (Kathleen Freeman), his sister, Olive (Beverly Sanders) and her lazy, jobless husband, Arthur (Wynn Irwin). Stanley's best friend, Bummy, was portrayed by Jack Knight. Dom DeLuise died on May 4, 2009 from complications due to diabetes and high blood pressure. He was 75 years old and had also suffered from cancer for a year before his death.